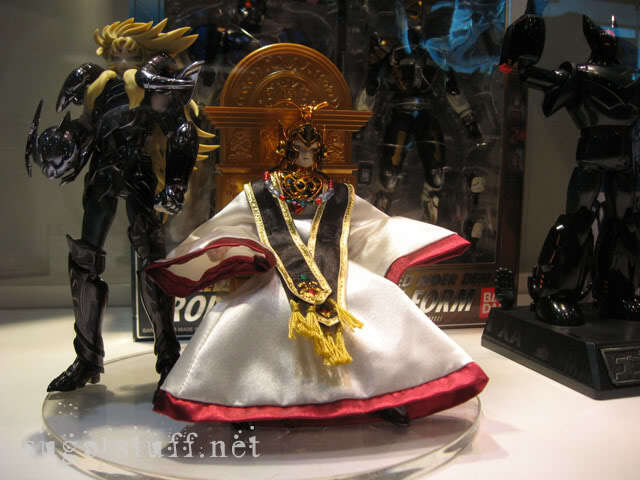 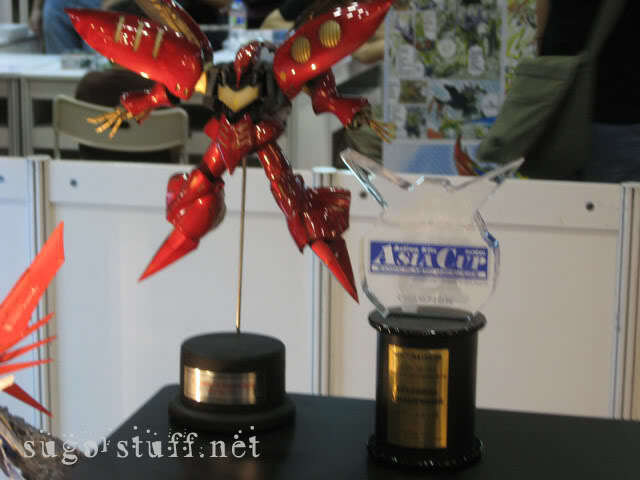 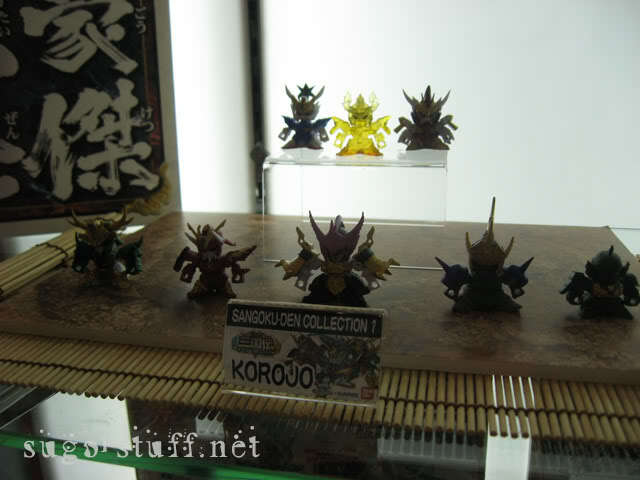 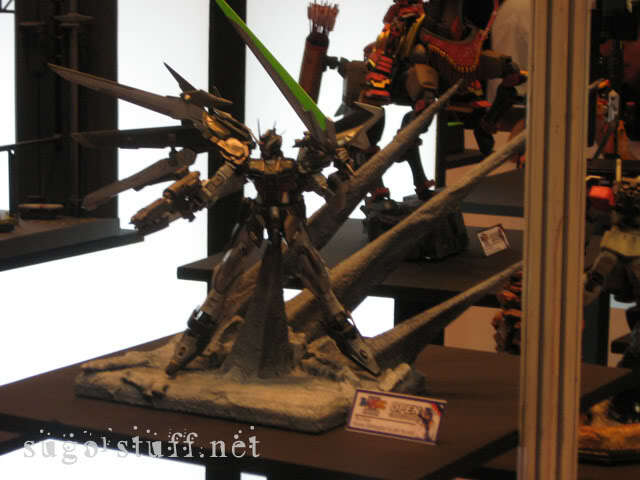 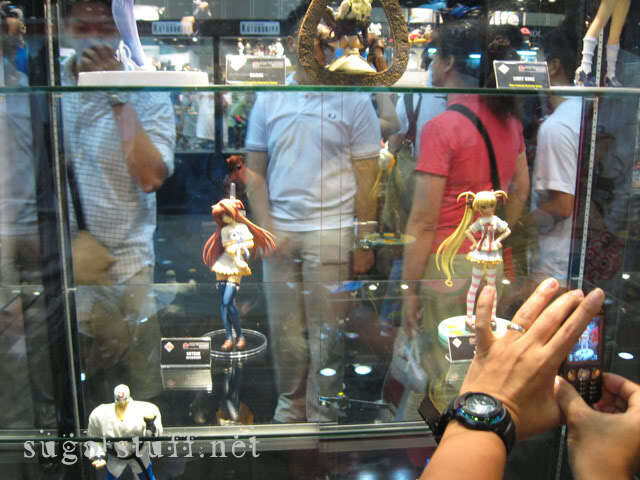 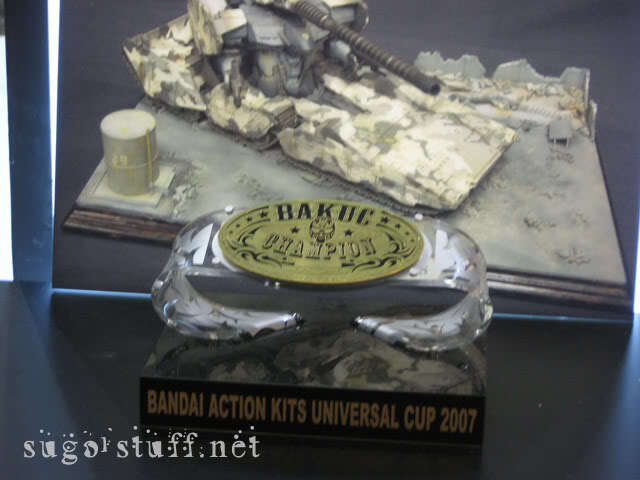 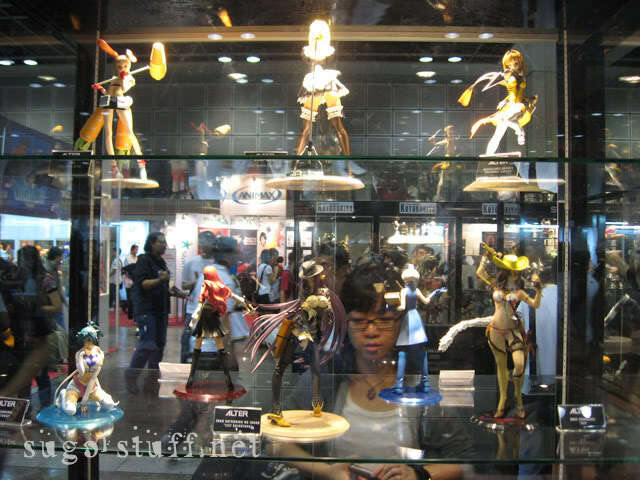 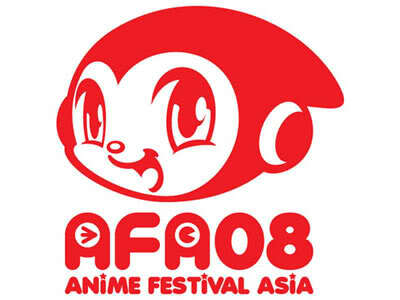 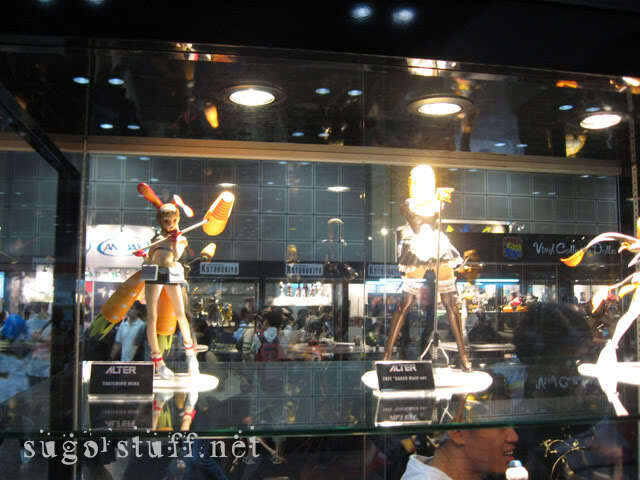 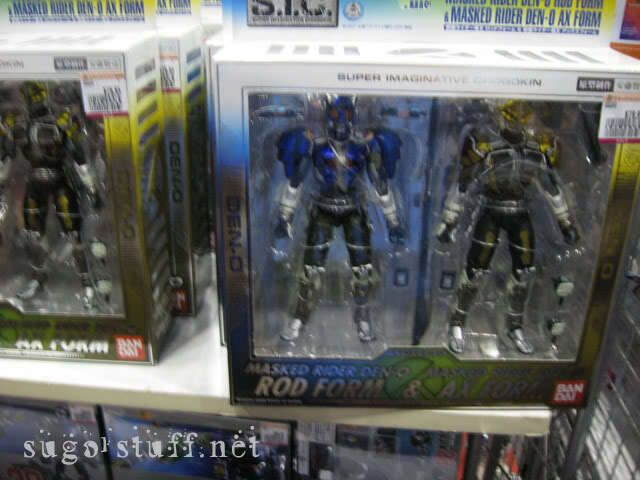 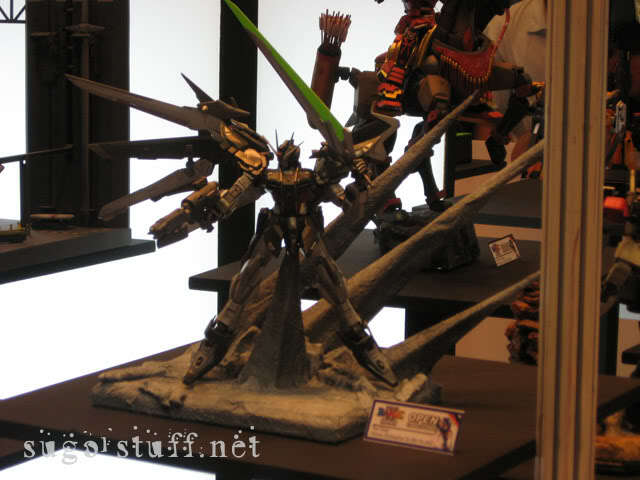 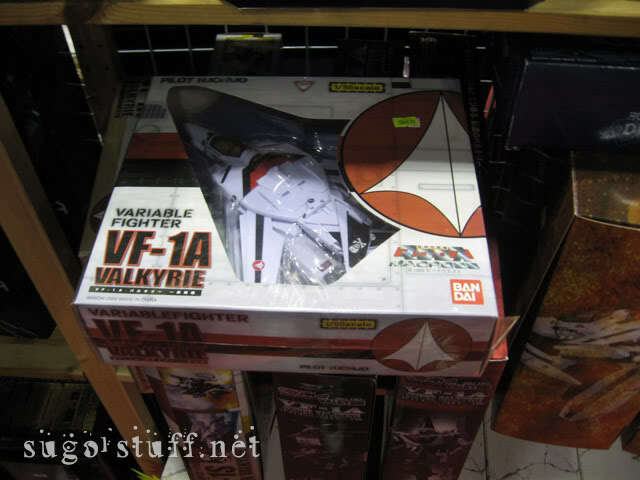 AFA 2008 Pictures part two! 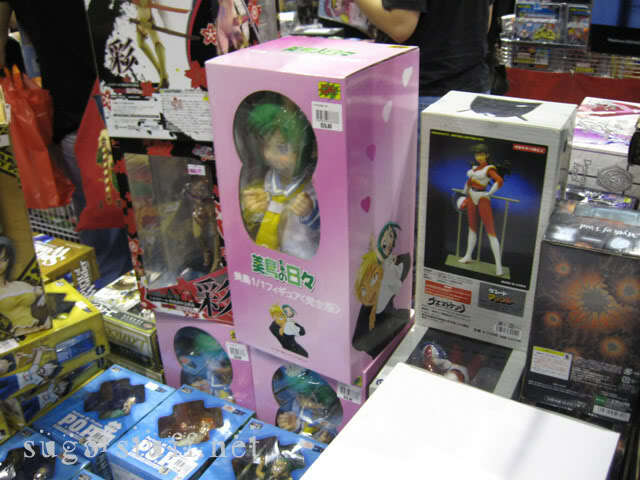 When you go to conventions, there are shops. 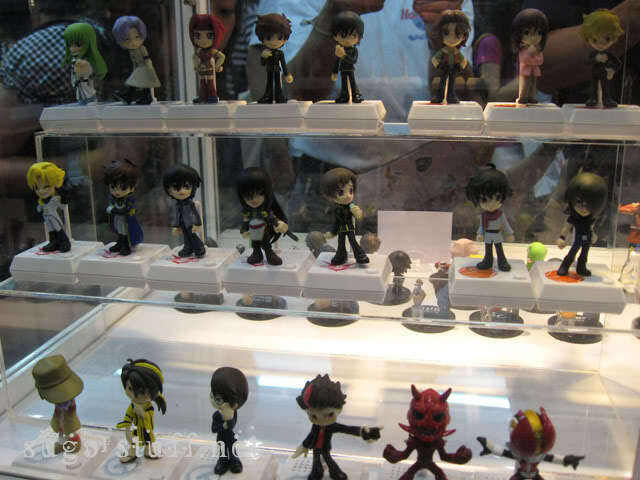 And the shops for this kind of convention will mean anime merchandise. 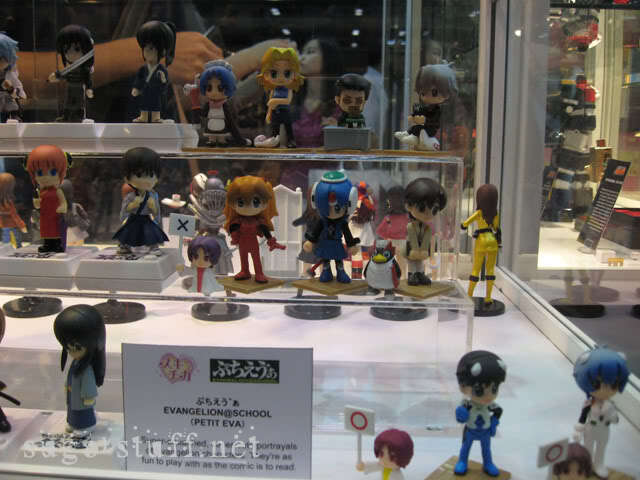 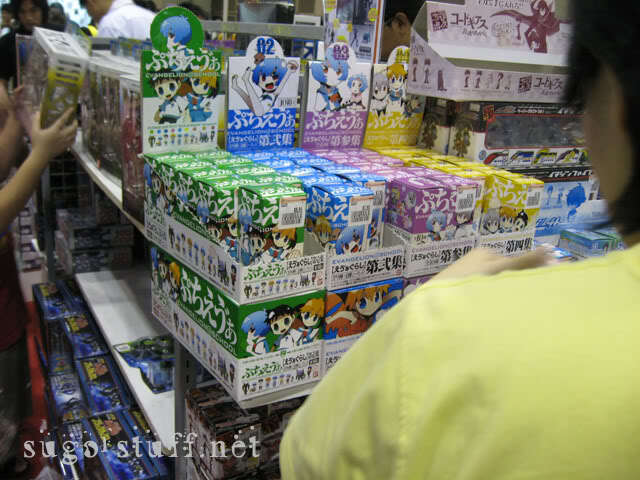 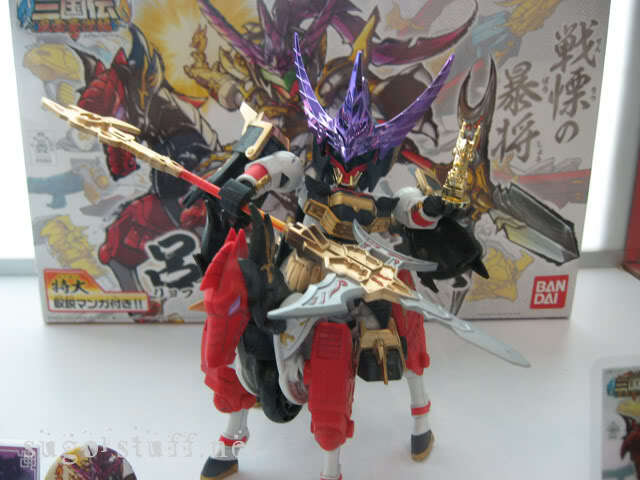 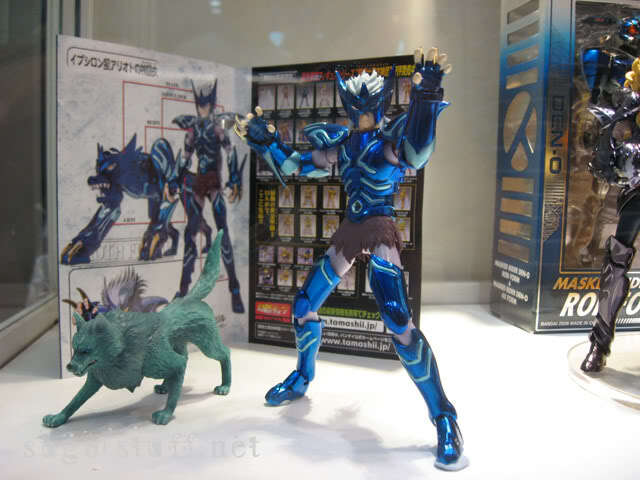 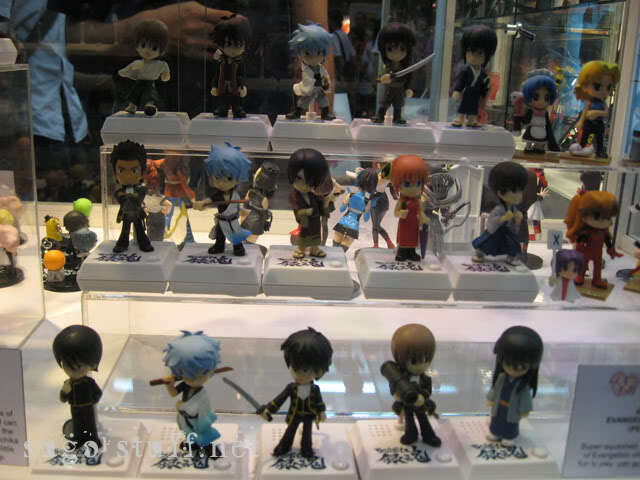 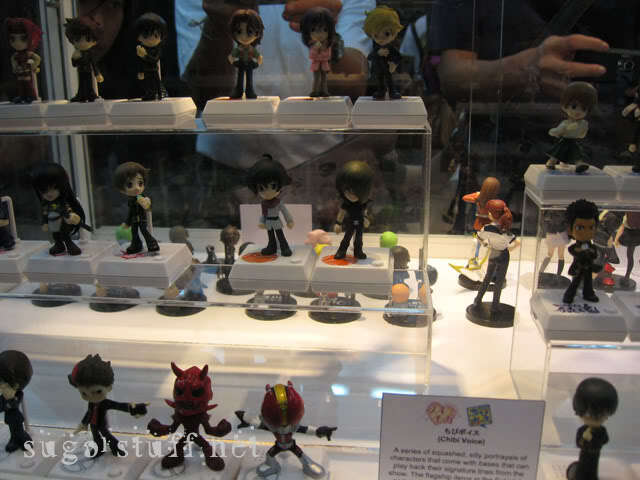 And most of the time, anime merchandise includes toys and figures! 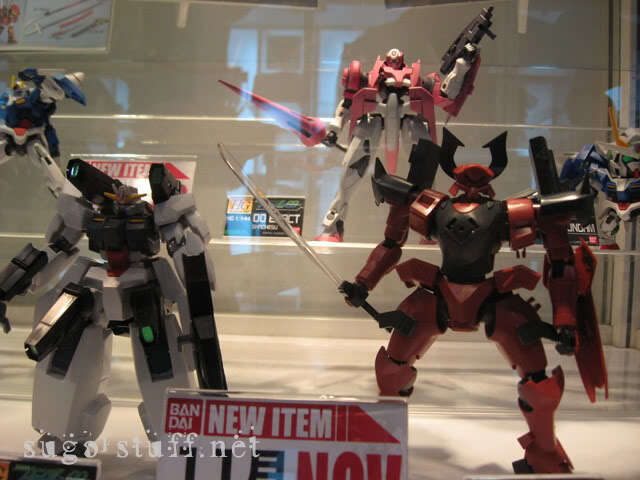 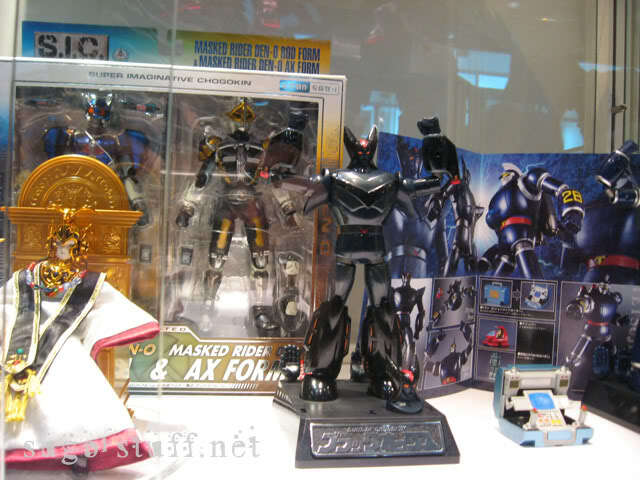 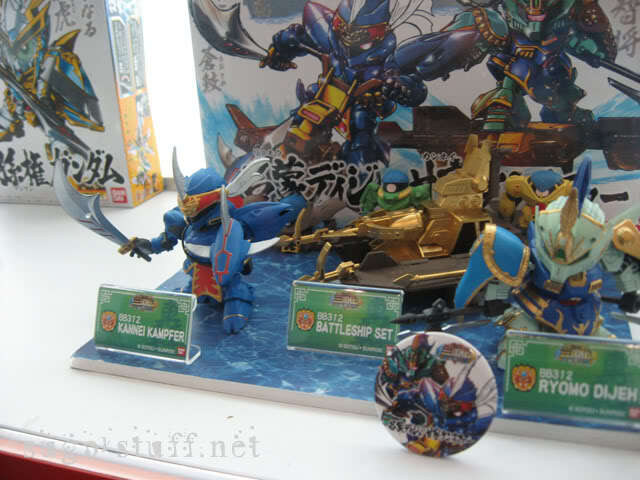 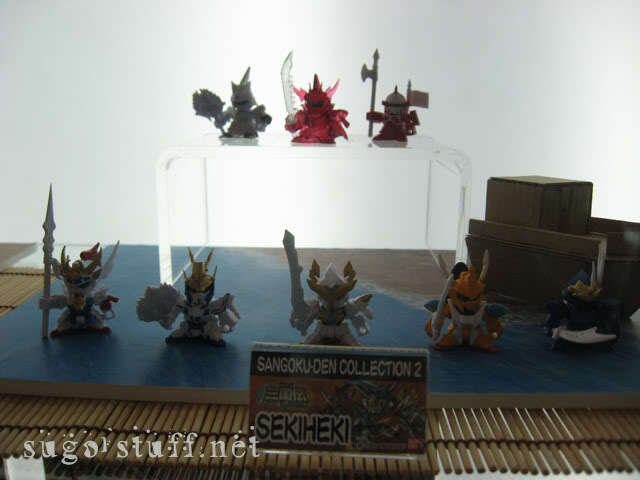 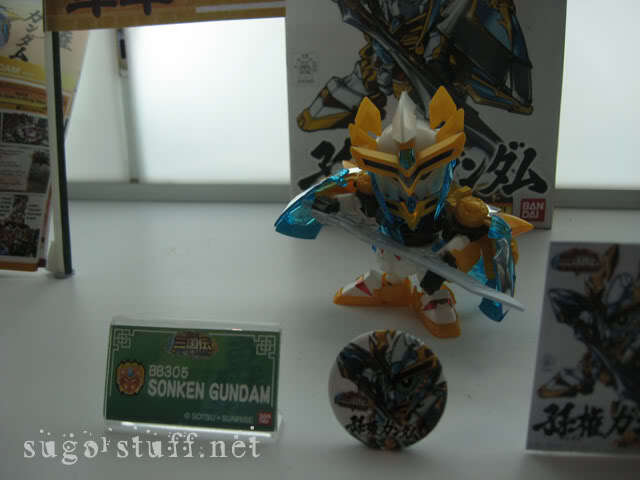 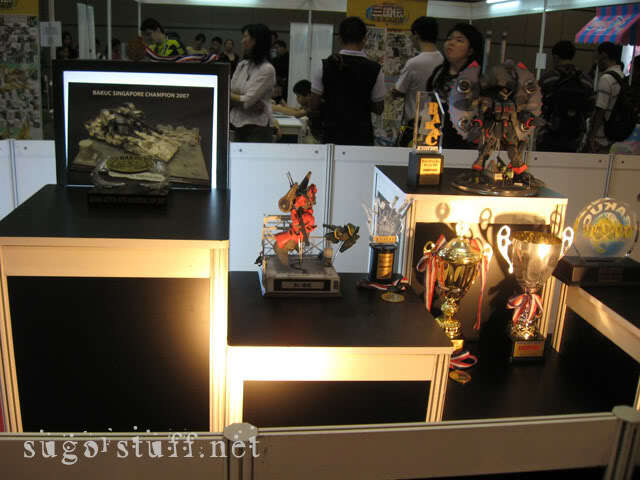 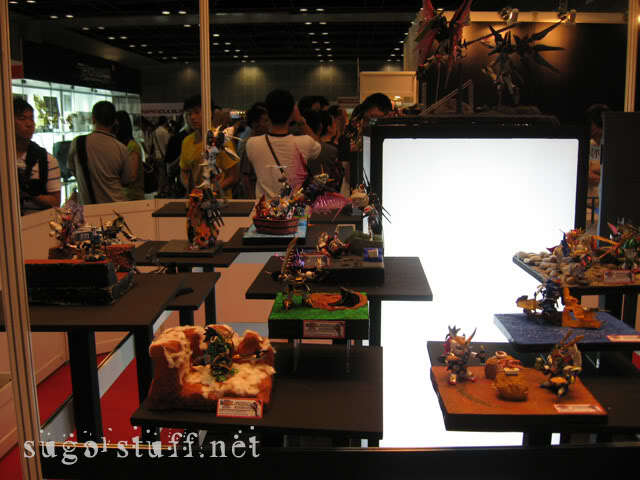 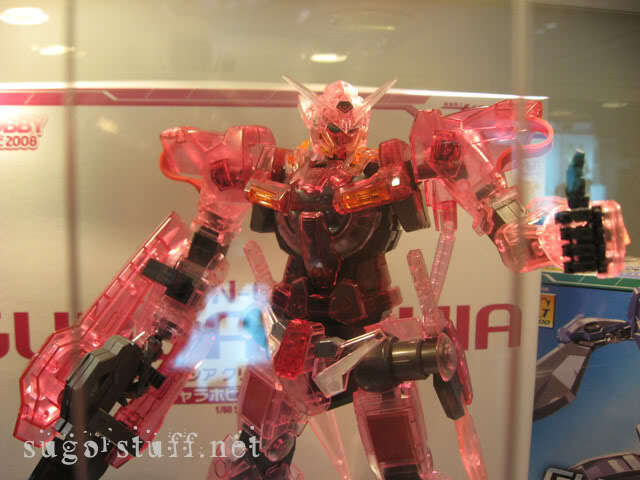 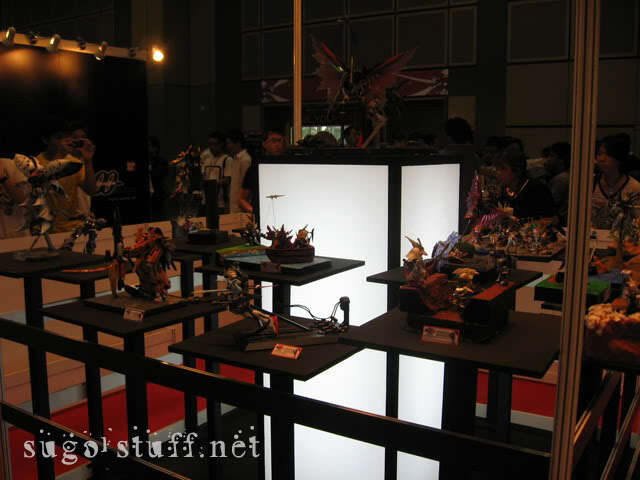 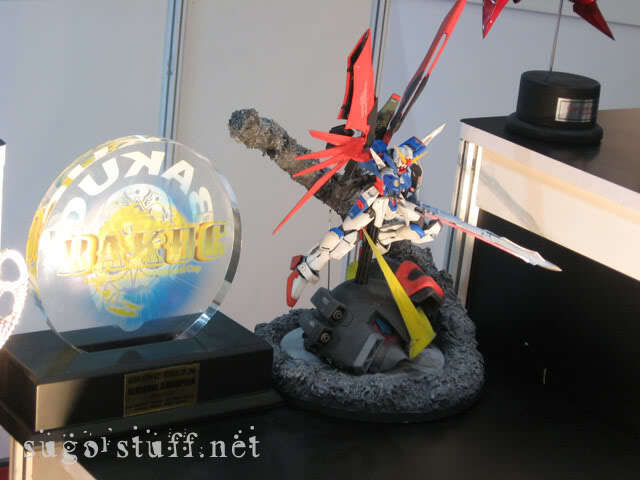 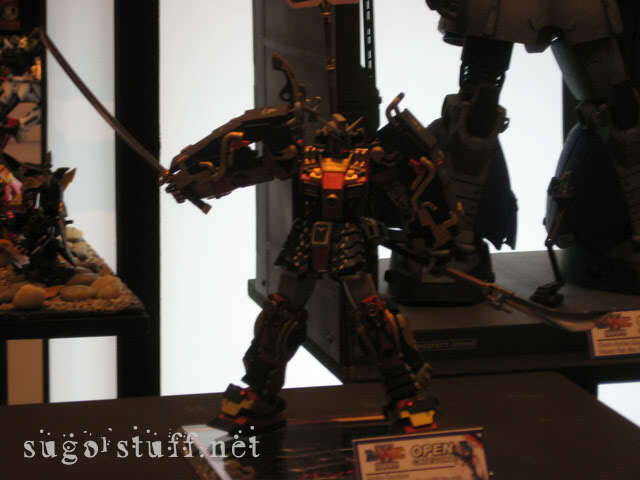 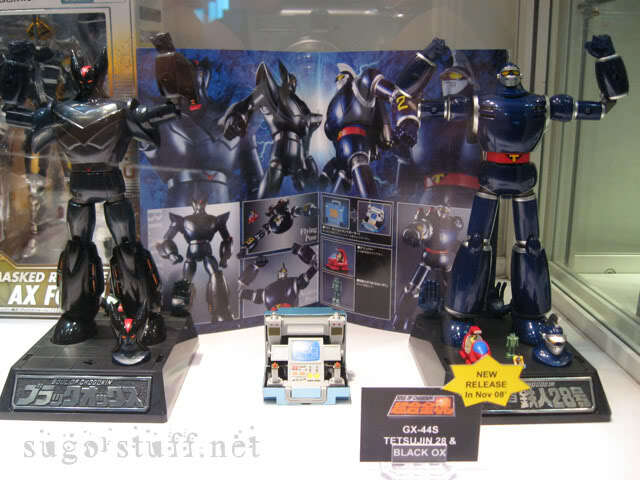 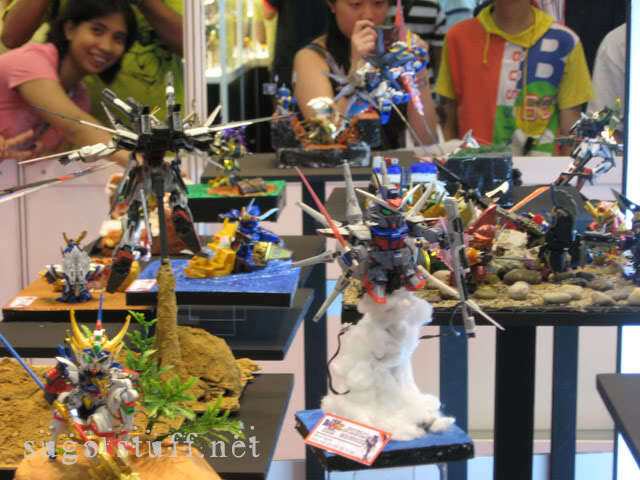 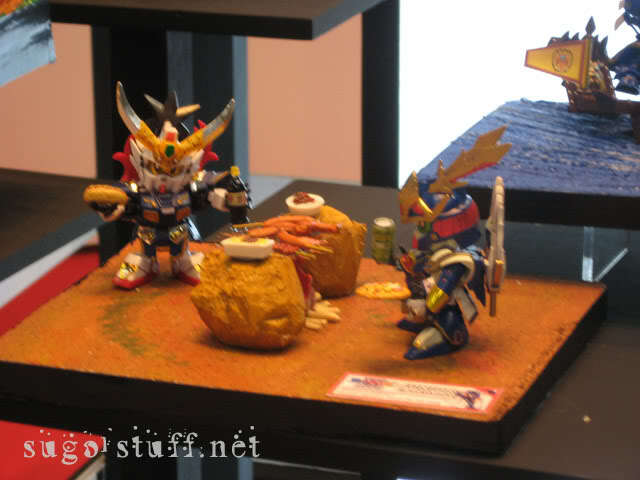 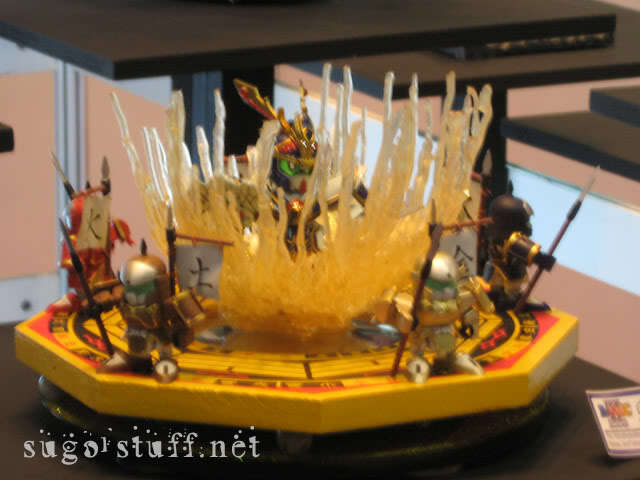 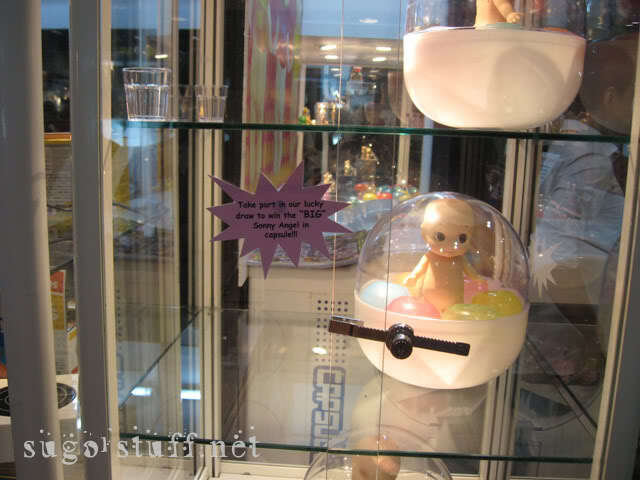 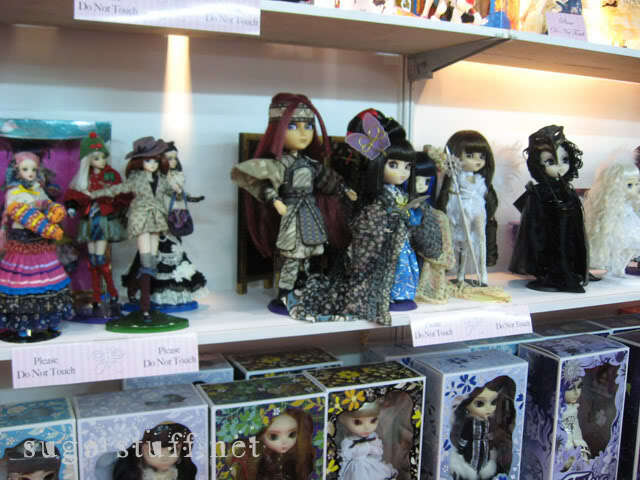 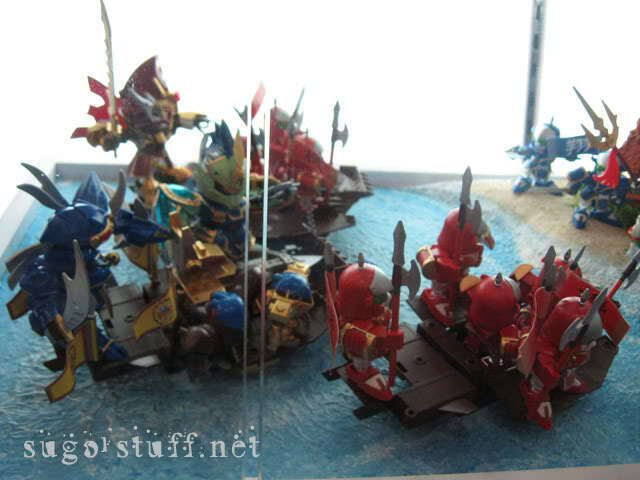 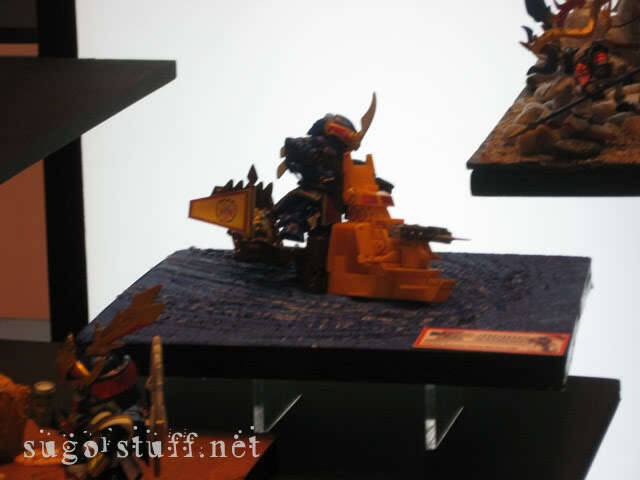 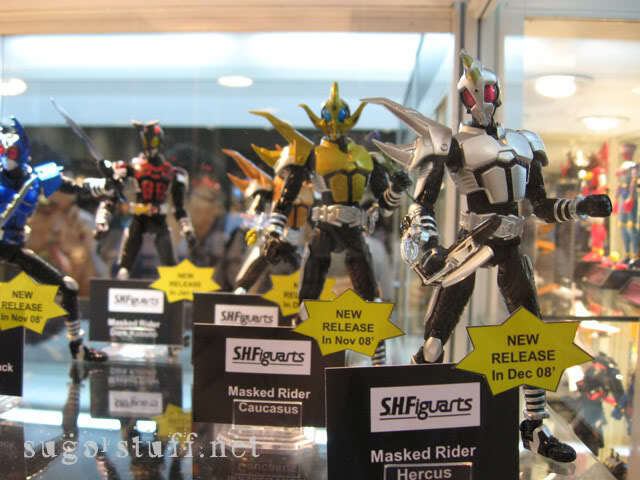 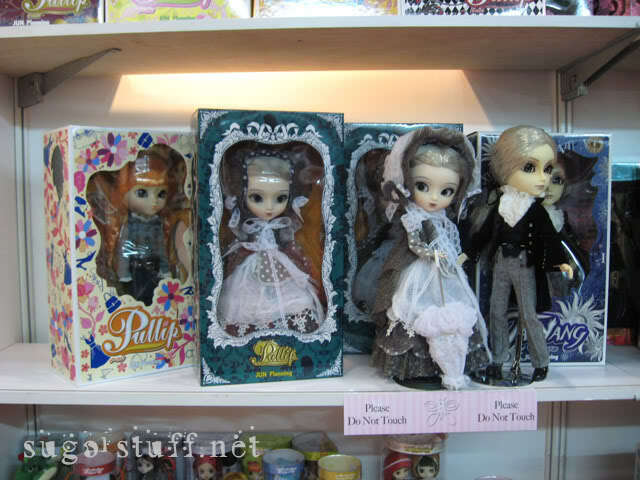 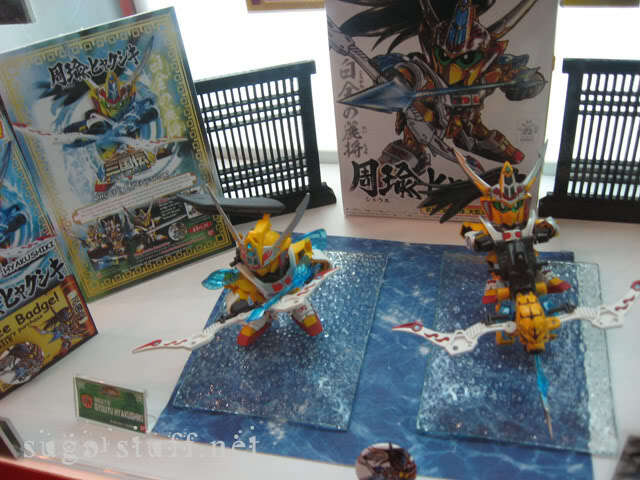 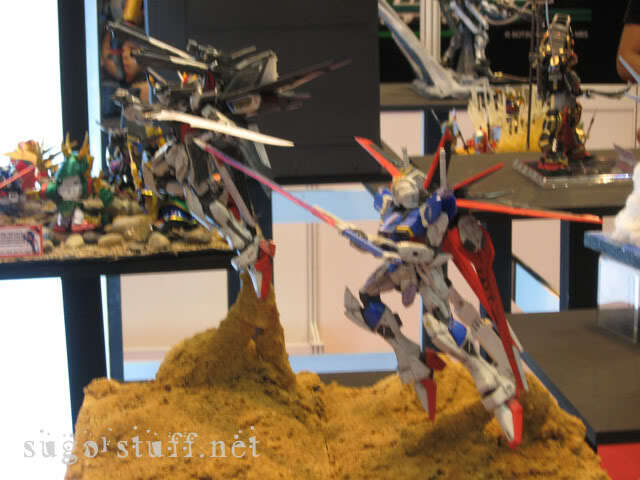 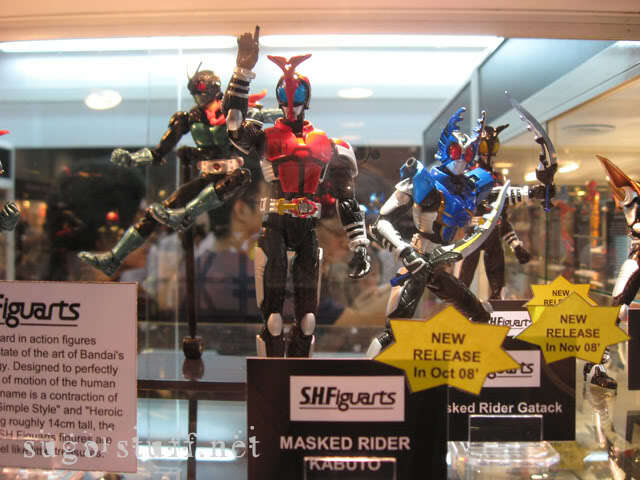 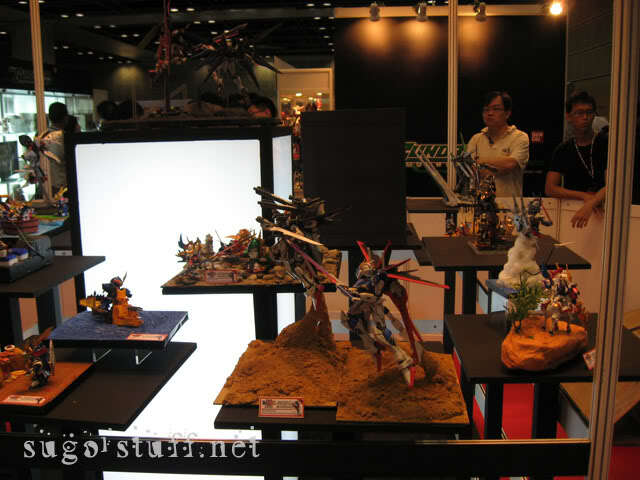 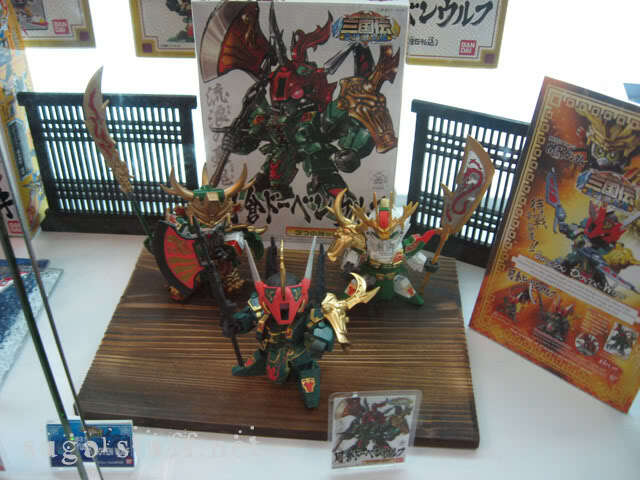 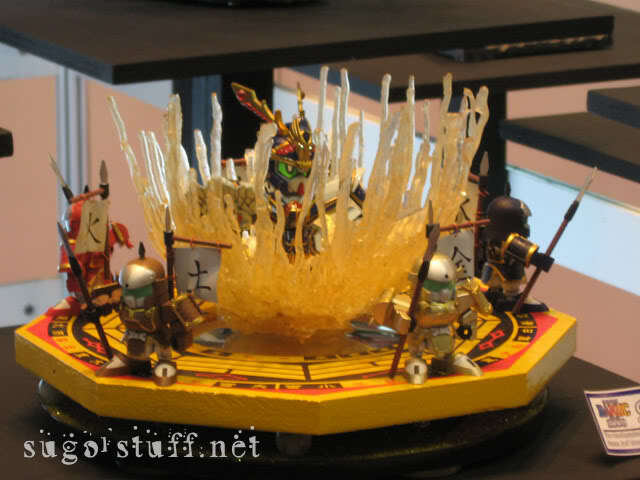 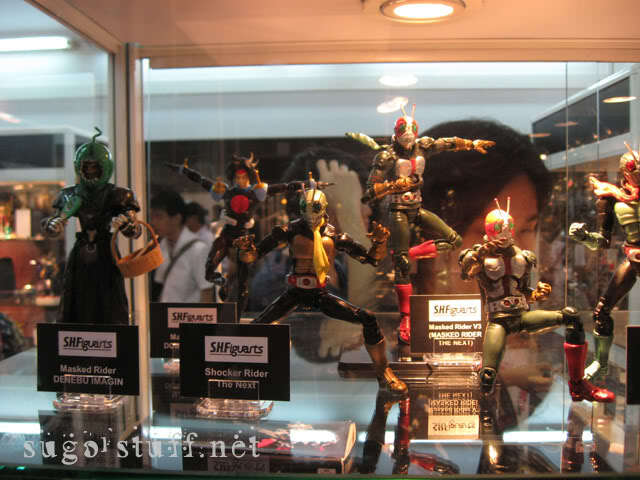 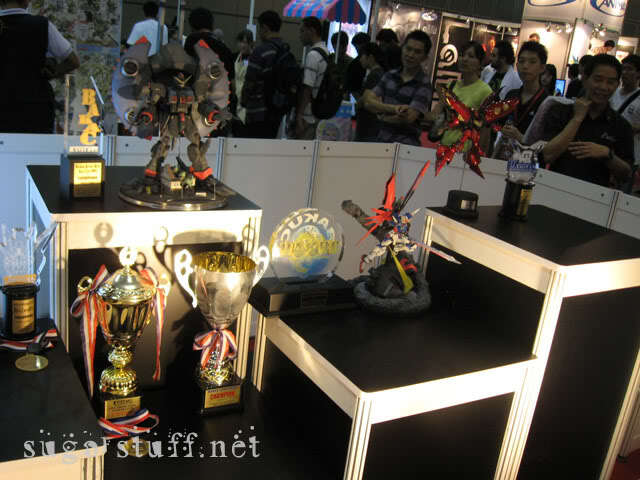 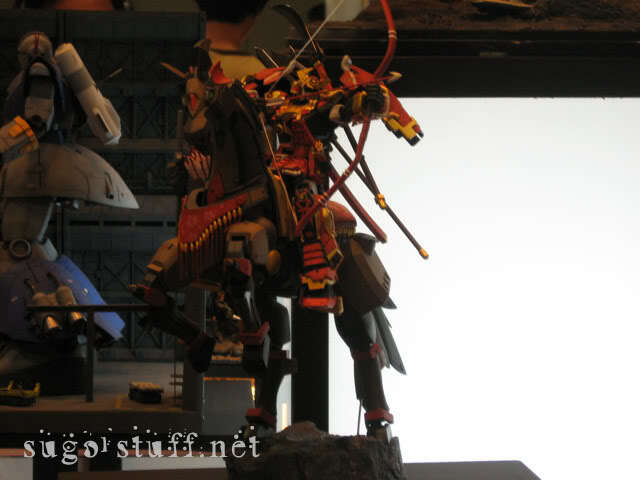 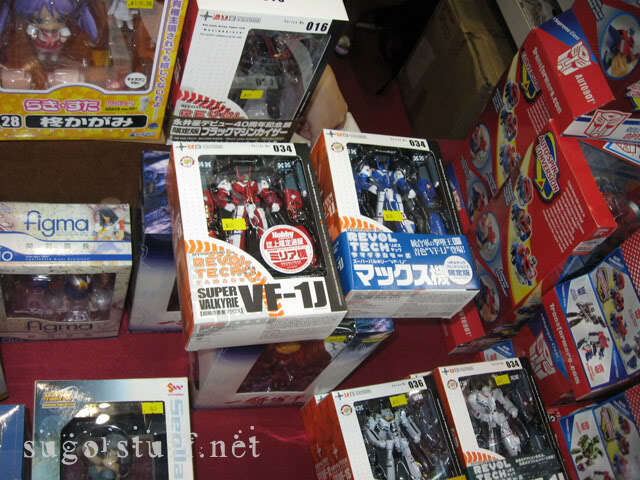 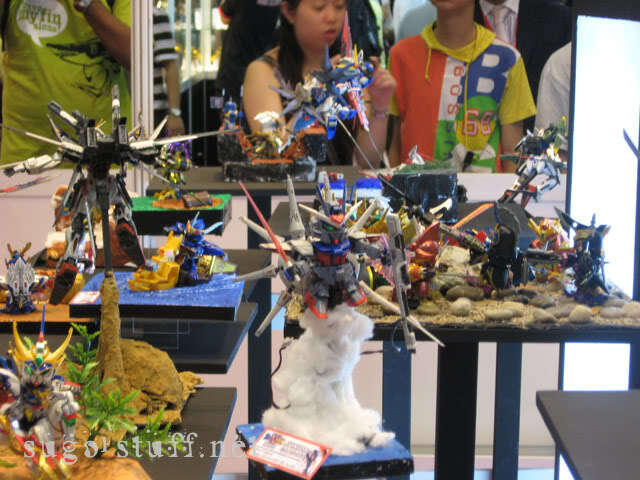 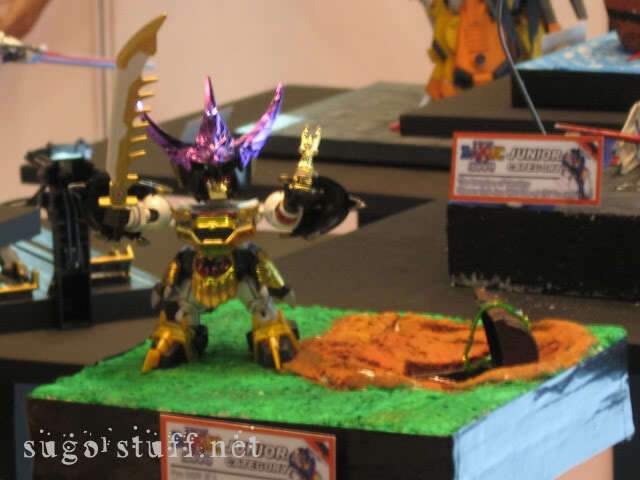 This time, we give you a peek of a lot of toy displays seen throughout the whole show. 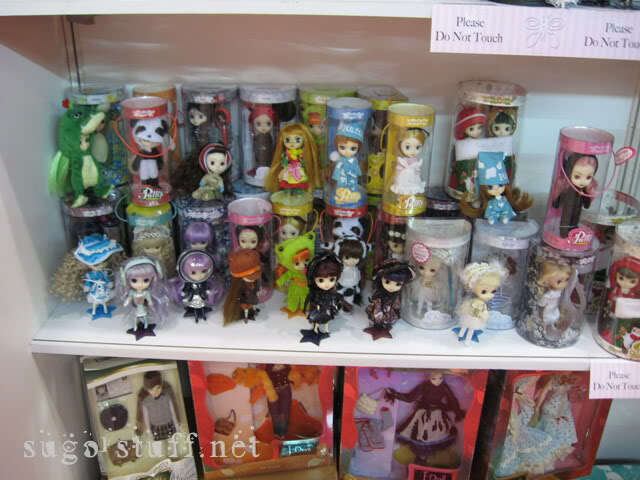 This time in clickable thumbnails as there are a lot. 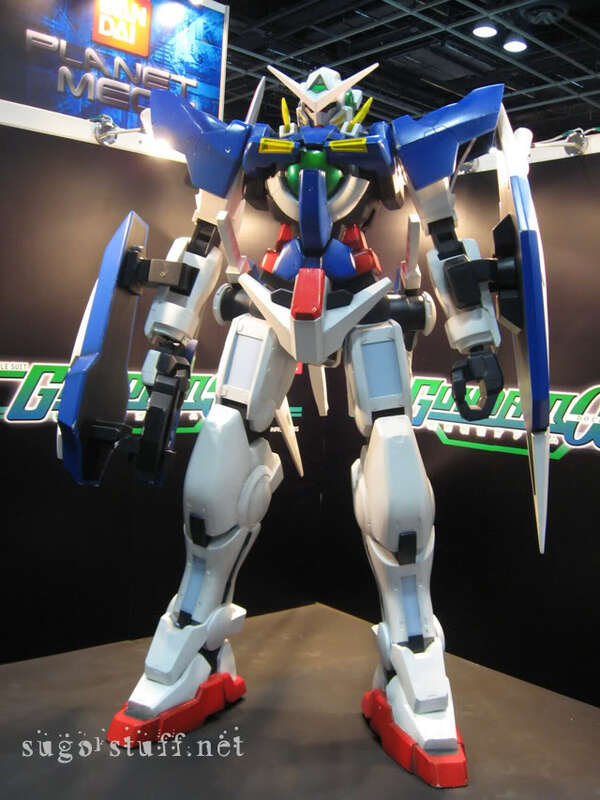 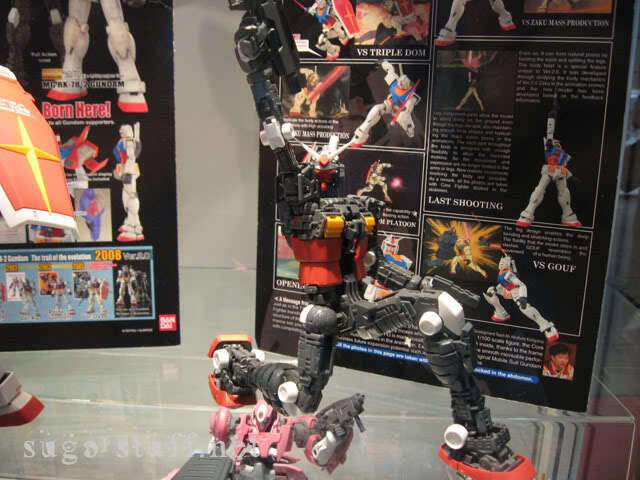 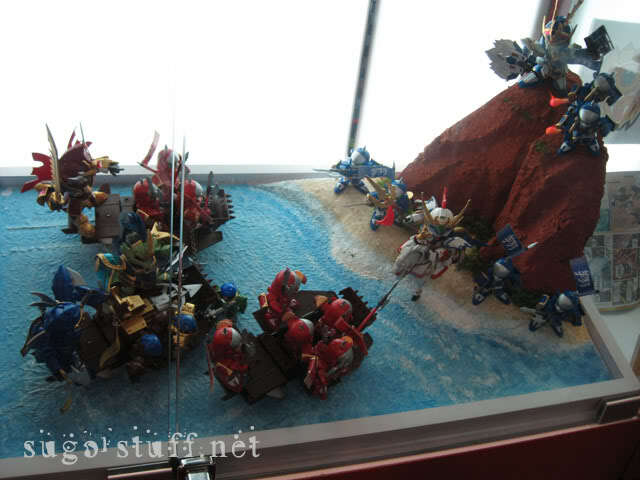 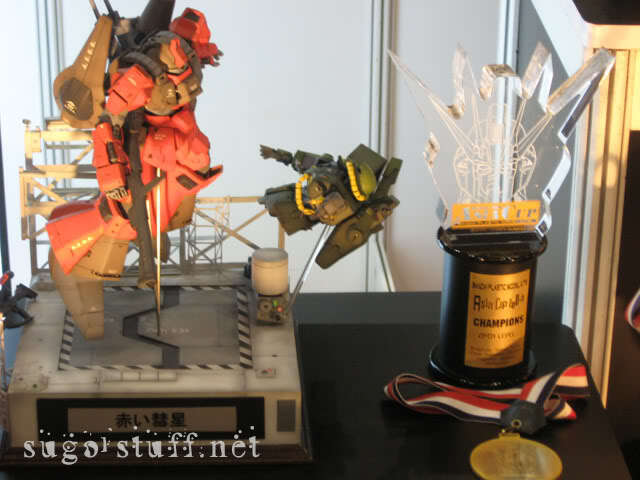 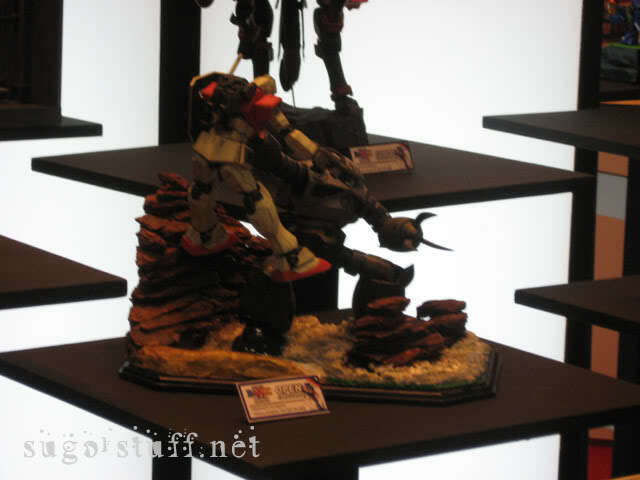 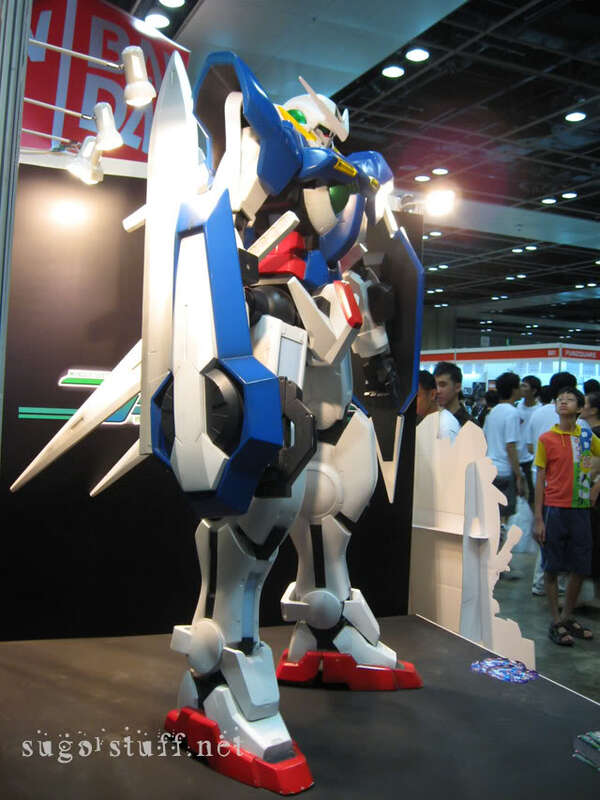 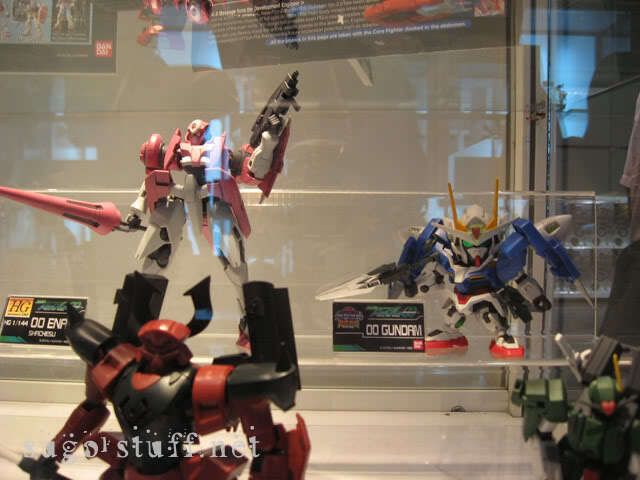 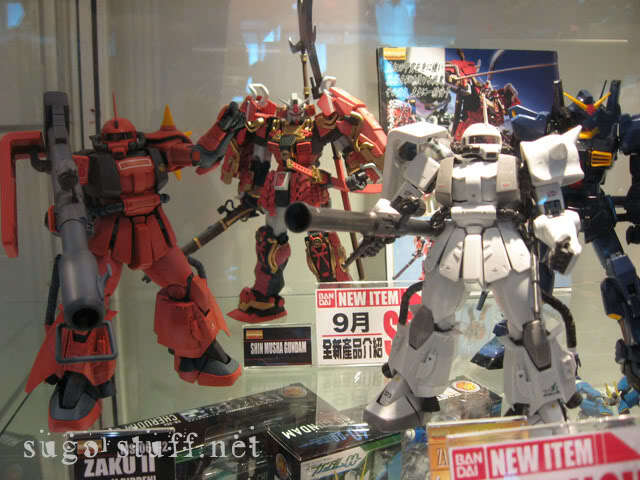 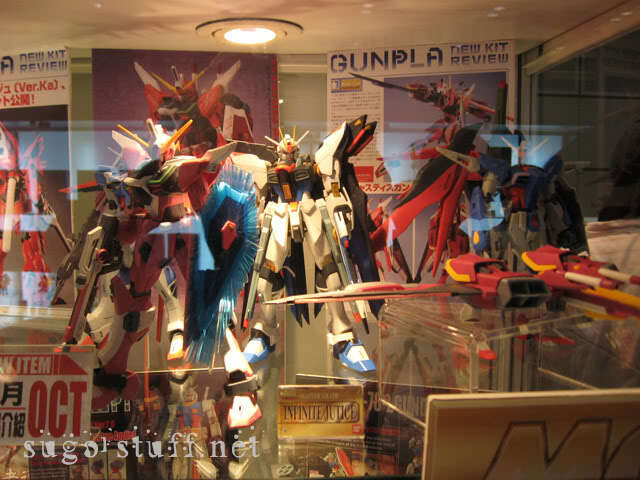 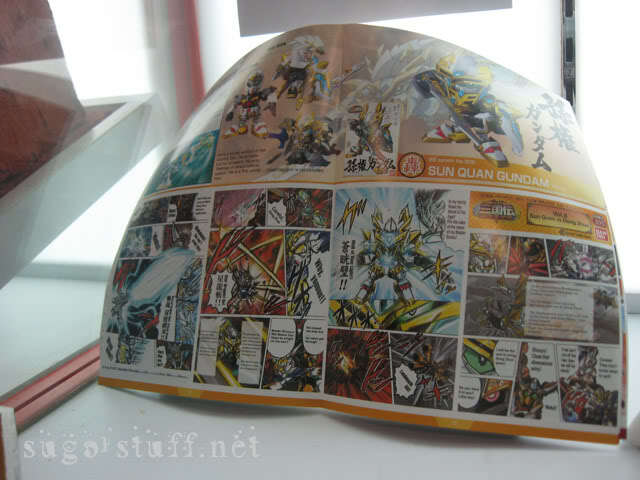 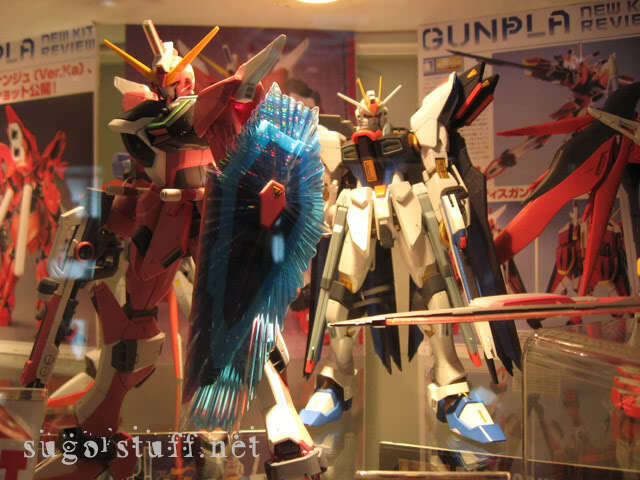 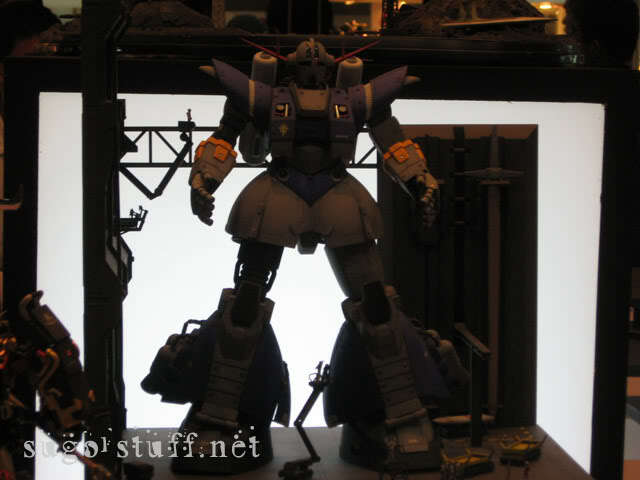 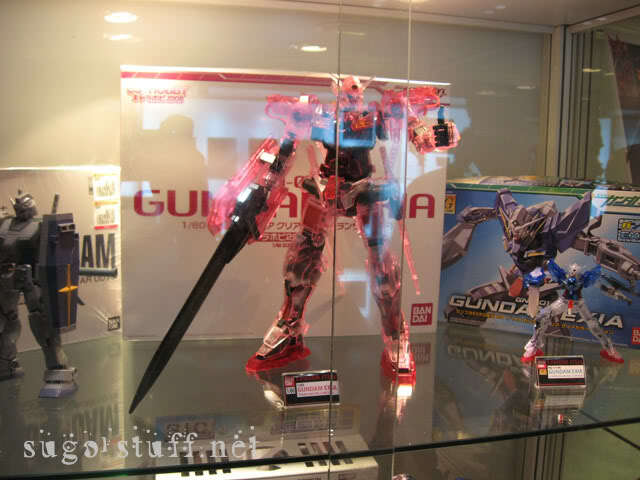 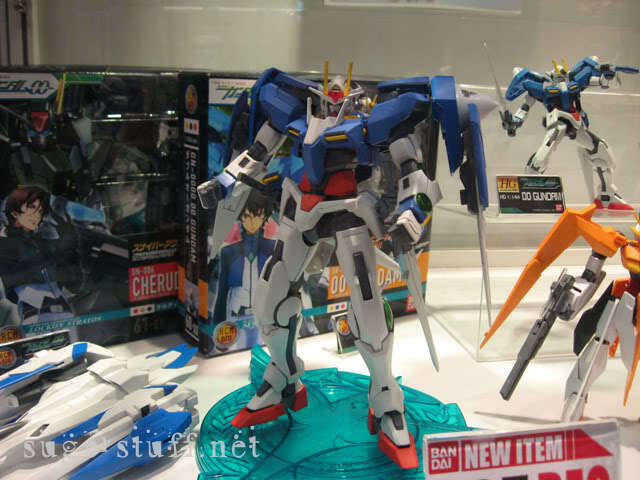 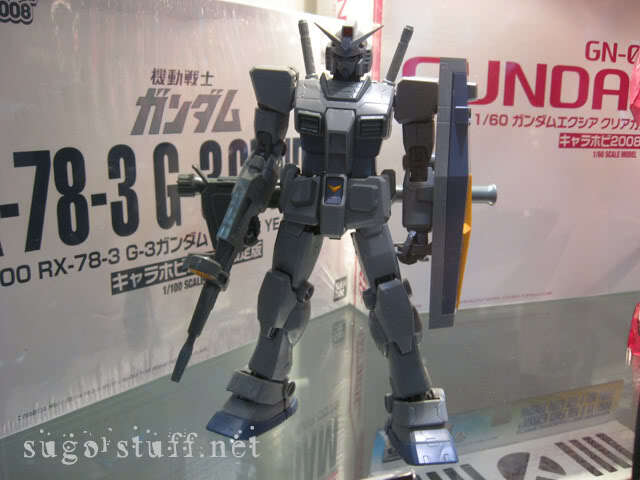 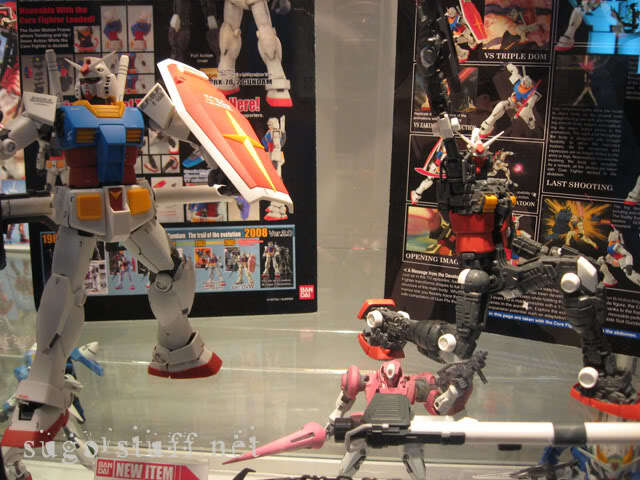 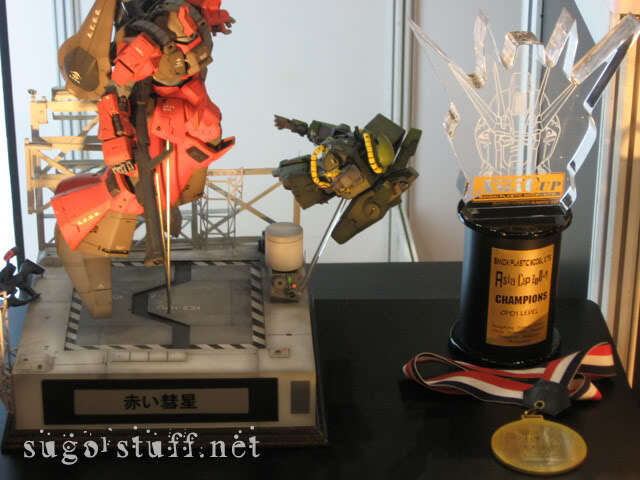 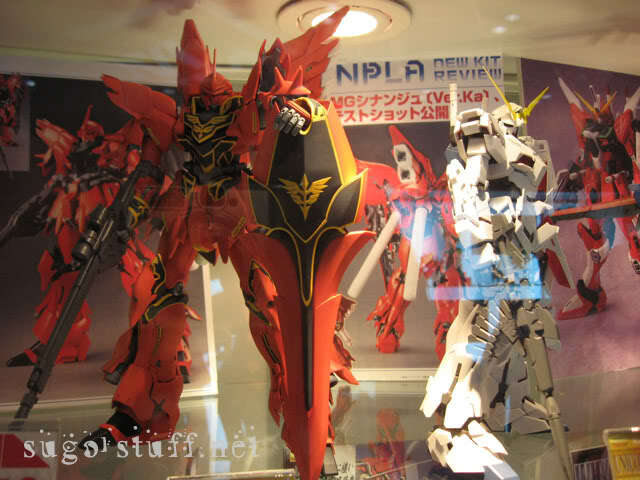 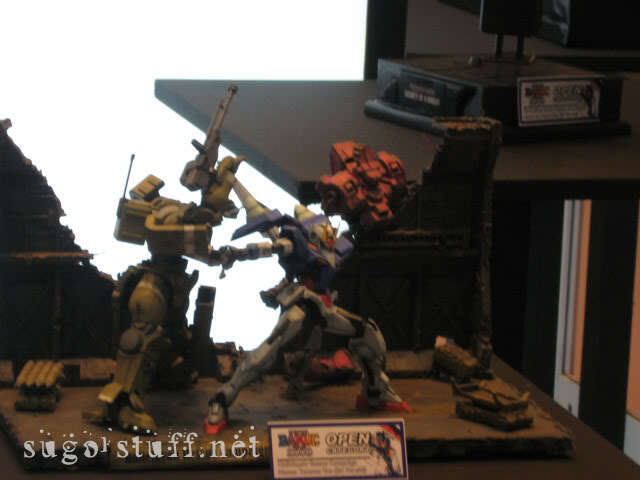 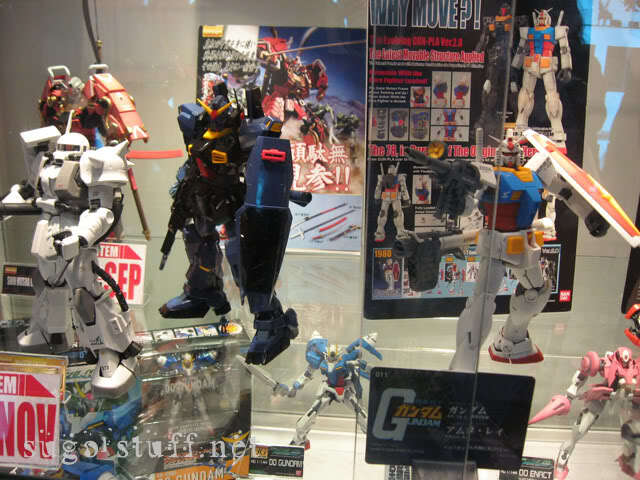 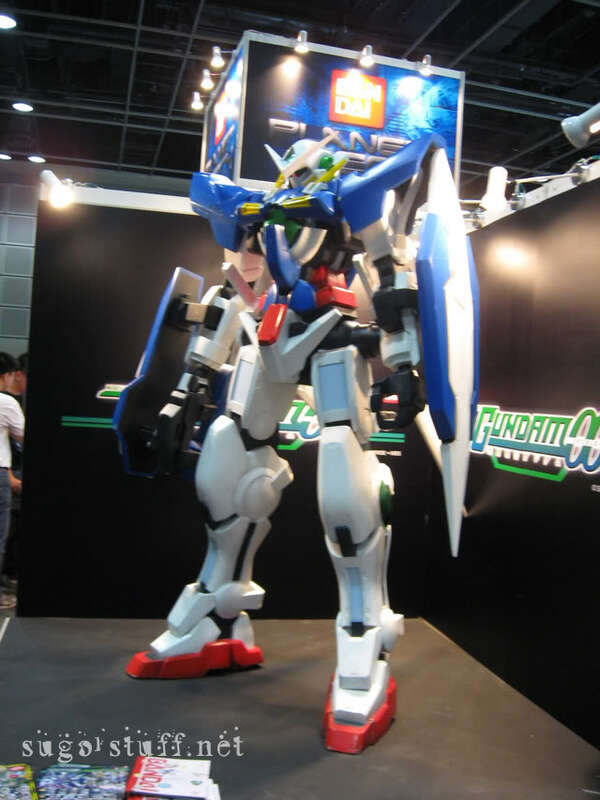 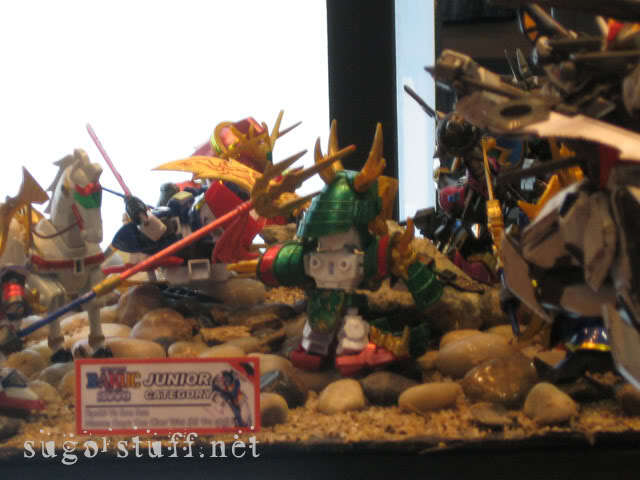 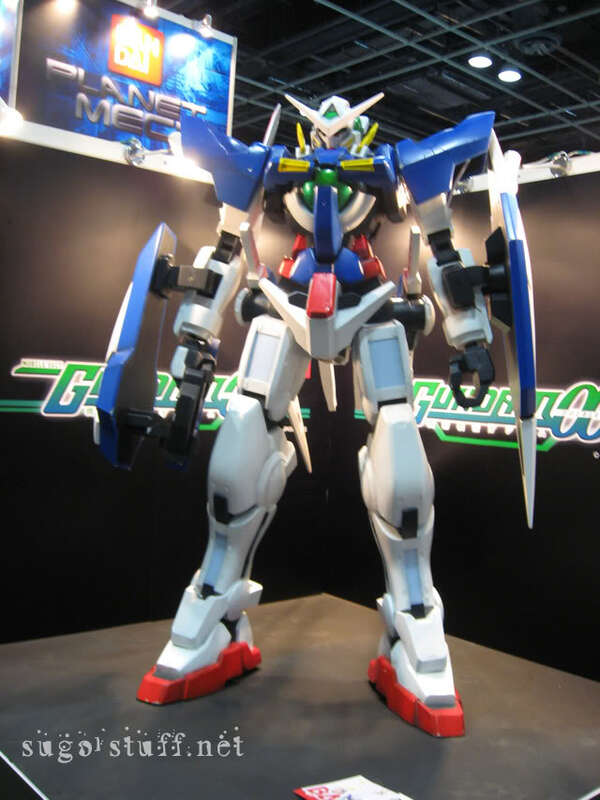 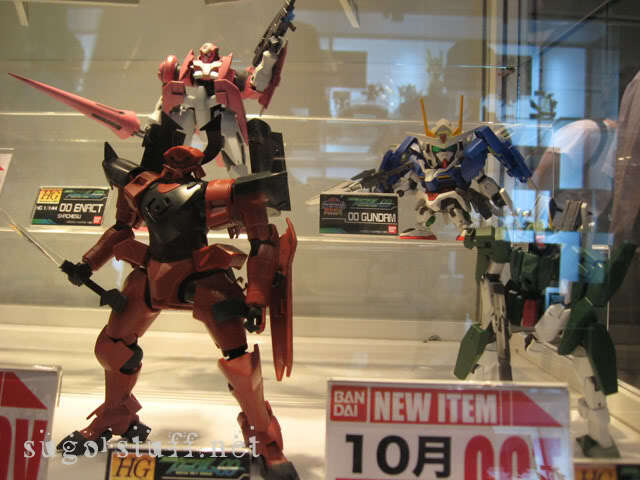 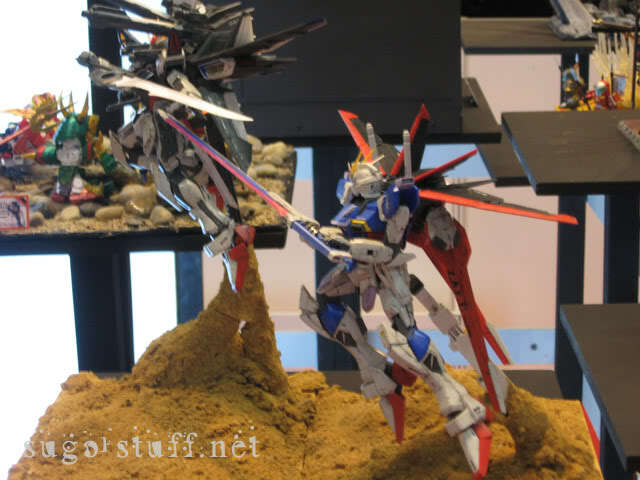 This huge Gundam display isn’t actually tecjnically a toy, but hey– it looks cool.